This book opens in August 2017. Seraphine’s father recently passed away so she is sorting through his things. She comes across a picture of her mother, father, and older brother, Edwin. Her mother is holding a baby in the picture. The writing on the back of the picture indicates that the picture was taken the day Seraphine and her twin brother, Danny were born. Seraphine and Danny were born surrounded by grief. There is a six-month time frame where apparently no pictures were taken of any of the Mayes family. So Seraphine is surprised that this picture exists. Her mother appears calm and happy in the picture. It’s hard to believe this picture was taken in the final hours of her mother’s life. This photo was taken the day EVERYTHING changed for the Mayes family…. Serephine wonders who her mother is holding in the picture. Is it her or Danny? Why is there only one of them in the picture? Her older brother, Edwin is as baffled as she is. But his attention is caught by another picture in Seraphine’s hands. It is a picture of Edwin as a toddler, having fun on the beach with a dark-haired teenager. He remembers her. Her name is Laura and she was his au pair. She left the day the twins were born. Everyone tells Seraphine to let it go but she just can’t. Her family is haunted by tragedy. Their lives filled with secrets and lies. Seraphine just wants answers, but there may be people who want to keep her from finding out the truth. Will Seraphine find the woman who can tell her what happened on that fateful day? Will searching for answers put Seraphine and others in danger? I thought this was a great debut novel! The characters were fascinating. The chapters alternated, telling the story from both Seraphine and Laura’s point of view, in both the past and present. Although it was a little slow at times, the plot was intriguing and kept me guessing. 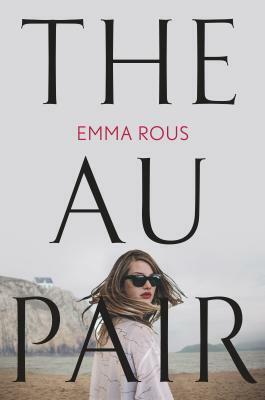 “The Au Pair” is a well written and entertaining novel full of surprises with an ending I didn’t see coming. I think that Emma Rous is a writer to watch. I am excited to read what she comes up with next. I’d like to thank Berkley Publishing for providing me with an advanced copy of this novel. All opinions are my own. Tanweer Wasim “Tan” France is an English fashion designer. He is one of the Fab 5 from “Queer Eye” on Netflix. Tan is the fashion expert on the series. I really didn’t know a lot about Tan before reading his book. I had heard of the Netflix series, “Queer Eye” but had never watched it. Tan was raised in a traditional Muslim family in South Yorkshire, England. If you ask him when he first knew he was gay, he’ll tell you he’s always known. He loves women, but he never thought of them as an option for his romantic future. Tan never felt that his feelings were wrong or that he had to put a stop to them, but explains what it was like growing up. Tan always knew he’d marry a man. Of course, he didn’t know it would be a Mormon cowboy from Salt Lake City. Tan didn’t care much for school but still managed to get very good grades. Getting to and from school was dangerous due to the threat of physical violence from the groups who yelled racial slurs at Tan and his siblings on a regular basis. Tan gives us insight into his first relationships as well as his marriage to husband, Rob. His love for Rob really comes across and is lovely to read about. He talks about the casting process for “Queer Eye”, how he became one of the “Fab 5”, and some other bits about the show and his cast mates. I liked the PSA’S (public service announcements) about T-shirts, jeans, and more. There is some relationship advice (First Date Do’s and Don’ts), some advice about employment (Tan had over 30 jobs), some “How to be a Good Boss” advice, and of course some great fashion tips. I know that Tan would probably hate my “well-loved” sweatpants and how often I wear them. Oh and if Tan is ever coming over to your house? HIDE YOUR CROCS! I know they are ugly, and many people hate them (especially Tan) but they are just so damn comfortable. The book took me longer to read as I kept stopping to Google something or watch something on YouTube or Netflix. I stopped so I could watch an episode of “Queer Eye” because I wanted to see Tan in action. I ended up binge-watching the first season. I loved it. When Tan would mention something that happened in an episode I had to go find it. When he talked about their appearance on “Lip Sync Battle”, I had to go watch that too. I really did enjoy learning so much about Tan. His witty writing style was fun to read. “Naturally Tan” was funny and entertaining, but it was also emotional and thought-provoking. Tan comes across as a kind, sincere, and unique person. He doesn’t seem to take himself too seriously. He tells us about his own anxiety and insecurities and talks about how it can be strange giving advice to someone on the show when he didn’t always feel so confident himself. I’m really happy that I read this memoir. 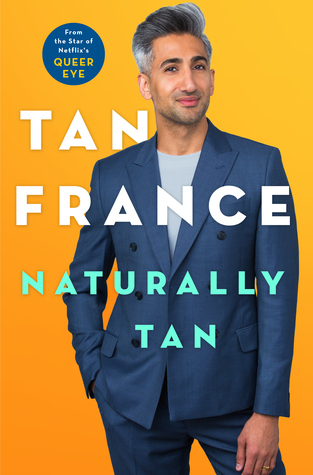 I’m now a big fan of Tan France and “Queer Eye”. I love Tan’s accent and I think the audiobook will also be great, especially if he is the narrator. I’d like to thank St. Martin’s Press for providing me with an advanced copy of this book. All opinions are my own. 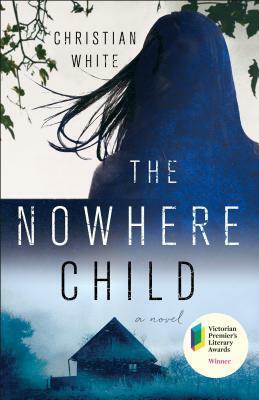 “The Nowhere Child” opens in the present in Melbourne, Australia. Kimberly (Kim) Leamy is eating lunch in the cafeteria of the school where she teaches photography. A man approaches her and introduces himself. His name is James Finn and he asks if her name is Kimberly Leamy. She asks him if he’s a teacher or a student at the school. He tells her he’s not from the school and proceeds to pull a photo out of a folder. It’s a picture of a young girl sitting in the grass. He asks her if the girl looks familiar. At first glance, Kim doesn’t think so, but when she looks at the photo a second time….she thinks the girl does look a little familiar. James tells her that the girl’s name is Sammy Went; a two-year-old who went missing twenty-six years earlier from her home in Manson, Kentucky. The photo was taken on Sammy’s second birthday. Three days later… Sammy was gone. There were no witnesses to Sammy’s disappearance, there was no evidence, and no one called for ransom. Sammy simply disappeared. Kim is a bit shook up by the conversation she had with the American man. However, she knows her mother would never have had anything to do with the abduction of a little girl. But she finds that she can’t dismiss everything the man said and so she starts researching the case. She finds articles about Sammy Went’s disappearance. She comes across a picture of Sammy’s parents, Molly and Jack. If she’s honest with herself she does see some resemblance between herself and Sammy’s parents. Kim decides to travel to Kentucky to see if she can get answers to the questions that have been plaguing her. But not everyone is happy that Kim is asking questions. Many people want her to leave it alone. Will Kim find the answers she’s looking for? “The Nowhere Child” was a compelling read that had my mind spinning as I tried to guess what happened. The story starts off strong. From Melbourne, Australia in the present to Manson, Kentucky in the past, we learn what happened to Sammy Went from a variety of characters with dark secrets. Back and forth the chapters alternate right up until the satisfying conclusion. This was a unique and complex story with twists that I never saw coming. An impressive debut novel that tells a tale of family secrets, kidnapping, and religious conspiracies. I look forward to reading more from Christian White. I’ve read a few books from this author and have really enjoyed them. 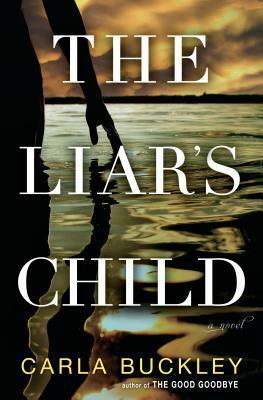 The description for “The Liar’s Child” intrigued me and I was excited to start reading. Whit Nelson, his wife Diane, and their two children, twelve-year-old, Cassie and five-year-old, Boon live in an apartment complex called “The Paradise” which is on the outskirts of North Carolina’s Outer Banks. It’s the kind of place people don’t stay long. A place where people keep to themselves. Whit’s wife, Diane recently made a horrible mistake. Whit’s feelings about his wife are complicated, but he wants to keep his family together. He says eventually people will forget what happened. “It was a mistake! It could have happened to anyone!” Unfortunately, it happened to them. And now, Diane is missing. But she’s done this type of thing before, going off on what she calls “Adventures”. The police say there isn’t much they can do. Diane is an adult. Adults are allowed to leave their lives. Now Whit is in a bind. He works long hours and doesn’t have a lot of support. Whit’s daughter, Cassie is one of the first characters we meet. Cassie is angry. Dealing with what her mother did hasn’t been easy. And now that her mother is missing she doesn’t know where to turn. Newcomer, Sara Lennox has recently moved to “Paradise” to start fresh. A new life and a new name. The apartment complex seems like the perfect place to lay low…at least for now. Sara really wants to keep to herself, but it’s hard not to notice the kids who live next door. She knows the family recently made the news after a near tragedy. Sara starts seeing them everywhere. And now, a storm is coming, a hurricane that could destroy everything in its path. Sara wants to use the storm to her advantage. She has a plan. Once again, Carla Buckley has written a story about secrets, lies, redemption, and courage that I found very entertaining and satisfying. I thought the characters were well-developed and I enjoyed getting to know them, flaws and all. Told from multiple points of view, the intense storyline kept me intrigued with its surprising revelations. I really liked how things came together and thought the epilogue was excellent. In my opinion, this was a very good psychological family drama. I am already looking forward to reading more from Carla Buckley. I’d like to thank Ballantine Books for providing me with a copy of this novel. All opinions stated are my own.